Lumapower D-mini VX Ultra (SST-50) Review: RUNTIMES, BEAMSHOTS, and more! Thread: Lumapower D-mini VX Ultra (SST-50) Review: RUNTIMES, BEAMSHOTS, and more! Reviewer's Note: The D-mini VX Ultra was provided for review by BatteryJunction.com. Warning: pic heavy, as usual. LumaPower Light Engine drives the LED efficiently and offers 3 levels of output; (100%), Medium(33%), Low(10%). SMART UI: 3 levels, with memory (last level used) and you can also lock it into any 1 mode using 4 1/2 presses. So the light becomes a single mode with a tactical style interface. 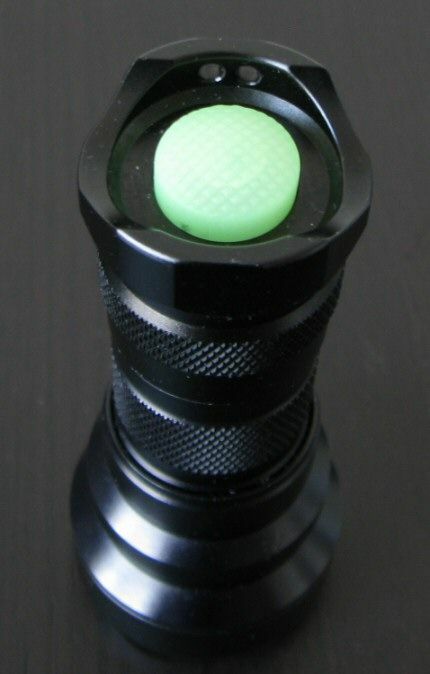 Forward Tactical Tailcap Click Switch - allows momentary signaling and changes light output level, clicks to lock on. The D-mini VX is the new form factor for the classic Lumapower “pocket rocket”. 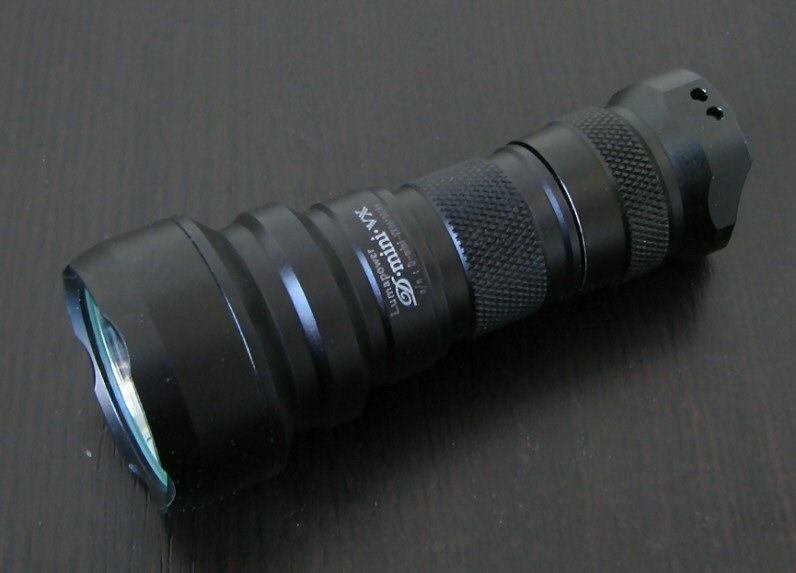 This review is of the Ultra version that includes the new Luminus SST-50 emitter. UPDATE: MattK has clarified that the Ultra version of this light was intended as a maximally-driven "overclocked" limited run for the flashaholic community. Please his post #21 further down this thread for more info. The VX comes in the now standard Lumapower case. 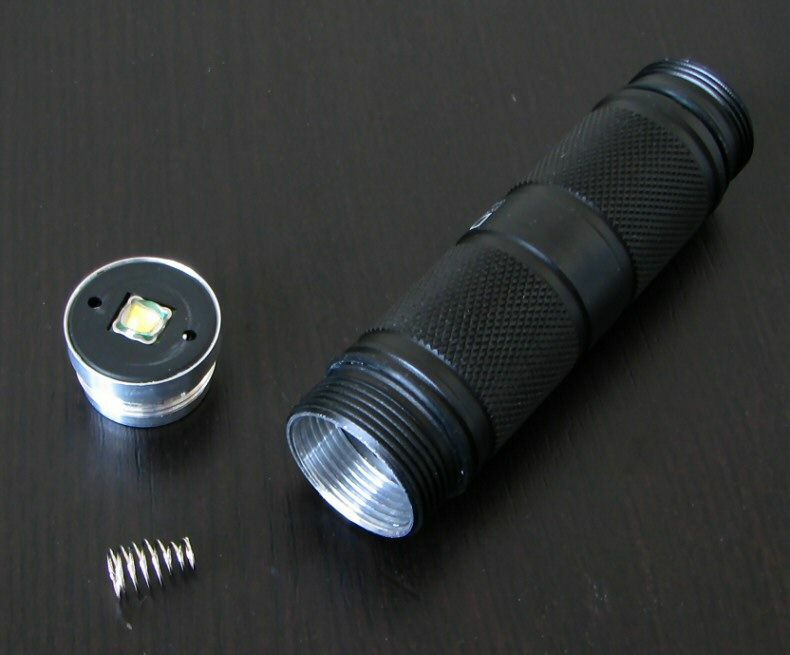 The light is encased in cutout foam, and the package includes spare O-rings and black tailcap button cover, D65 extension tube and spring, warranty card, and manual. The D-mini VX now comes with a D65 battery tube extender to allow use of 1x18650 (note that 2xRCR/CR123A are NOT supported). To use the new extender, a small variable-width spring (included) must be inserted under the removable emitter pill to allow contact with the positive 18650 battery terminal. The overall physical dimensions of the new D-mini VX are actually a bit smaller than the original D-mini. 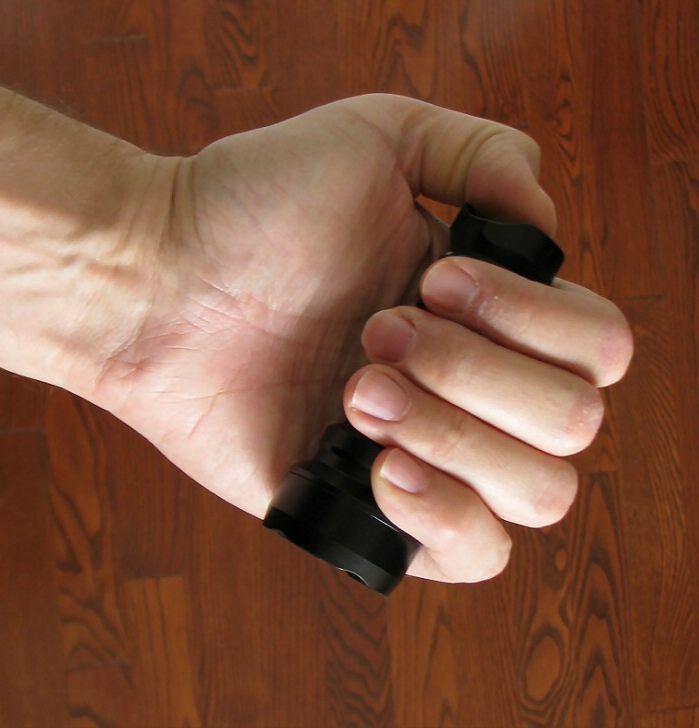 The extra ridge detail and body style elements certainly help with improved grip. All around, it feels like a significant upgrade from the original model. I am amazed at how small the light still is with the D65 battery extender in place. The light is comfortable to hold and use in either battery tube format, and it's nice to see the D65 extender included in the base package. The D-mini VX Ultra’s components seem well made and very modular. 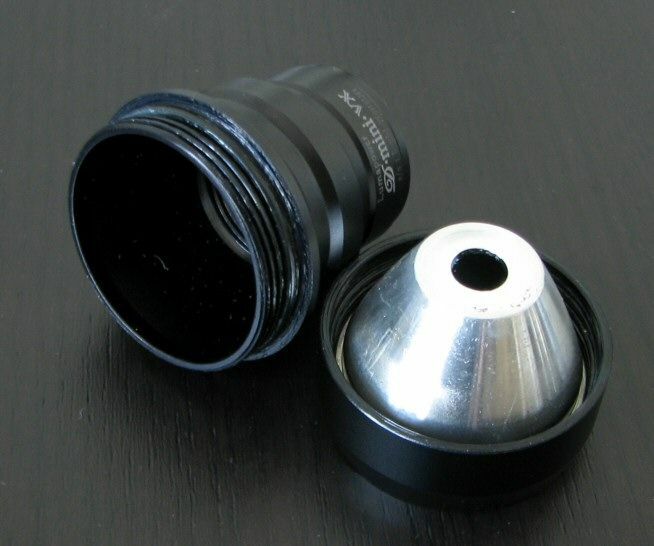 Everything fits together well, with smooth screw threads that are anodized for tailcap lockout. Although someone should probably tell the factory to go easy on the thread lube. As previously mentioned, you need to use the included spring to make positive terminal contact with the D65 extender tube. This should allow you to use modern flat-top high-capacity 18650 batteries. No contact issues were noted in any arrangement, everything worked perfectly. Machining and anodizing of the light are top-notch on my sample. Labels are sill fairly clear, although the serial number and Lumapower name are fairly dim on my sample (Lumapower probably uses one of the smallest fonts of any flashlight maker). The light can tailstand due to a built-up tail ridge. But thanks to the scalloped edges, I found the clicky reasonably easy to activate with my thumb. The light comes with a forward clicky switch with good tactile feel (momentary on, click for lock-on). The VX series comes with a mildly crenalated bezel, in black. The Ultra specifically features a shallower reflector than the original D-mini, and is thus not likely to be much of a thrower. The Luminus SST-50 is reasonably, though not perfectly, well-centered in the reflector. Given the shallow reflector design and heavy surface texturing, I'm not expecting any significant beam issues. Note that the much larger die of the Luminus LED is difficult to focus to a fine point, so I expect a much more general beam pattern here. And now for the requisite white wall hunting … all lights are on Max with OP reflectors on AW 18650 (for M21 comparison) or RCR (original D-mini comparison), about 0.5 meters from a white wall. 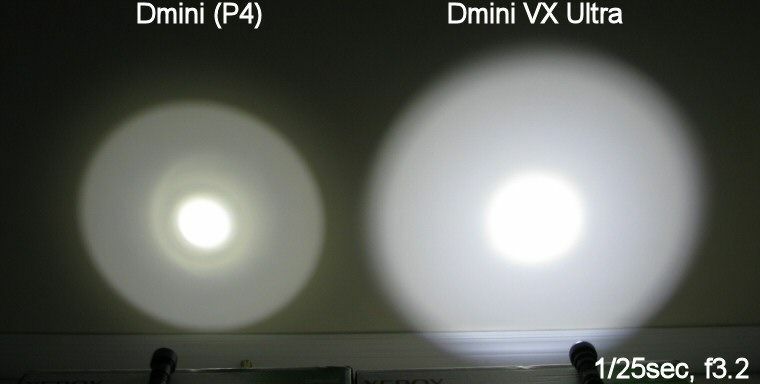 Overall, I would say the beam profile of the D-mini VX Ultra is very similar to the Olight M21 - only the Ultra is brighter (i.e. driven harder) on Max. 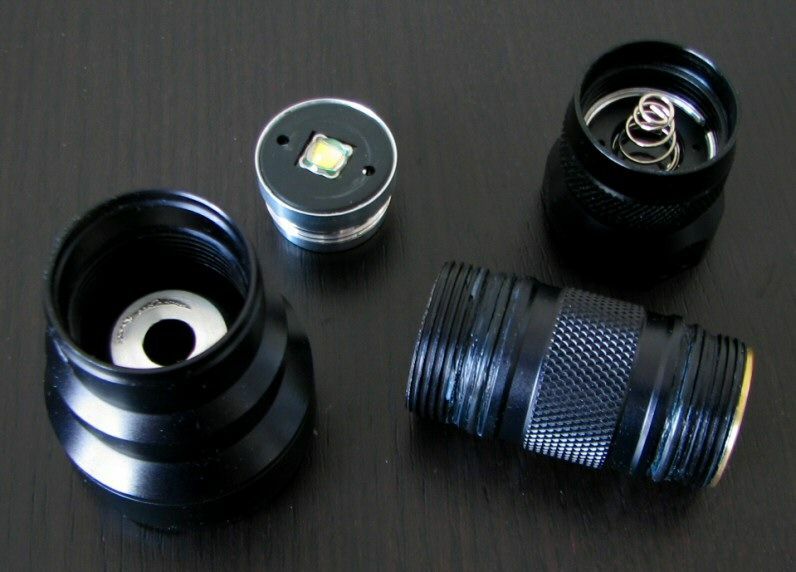 Although The Olight M21 has a slightly larger reflector, the overall shape and dimensions are reasonably similar to the Ultra. All my recent SST-50-based lights have had pretty good tint, usually slightly on the cool side of premium cool white tints. For those of you not familiar with tint bins, please see my Colour tint comparison and the summary LED tint charts found here. UPDATE: Some additional long-distance beamshots, to show you how the light compares to others in its class. 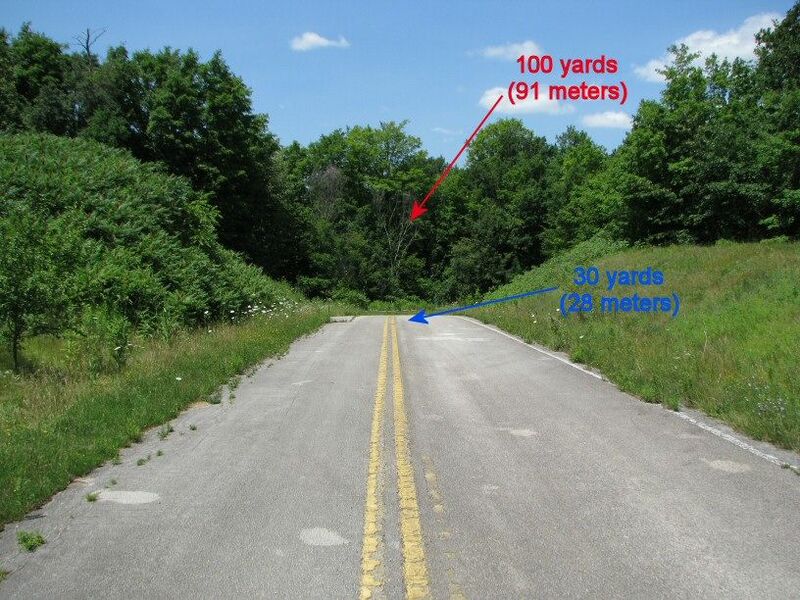 Please see my recent 100-yard Outdoor Beamshot review for more details (and additional lights). The D-mini VX features the now standard Lumapower "Smart UI". 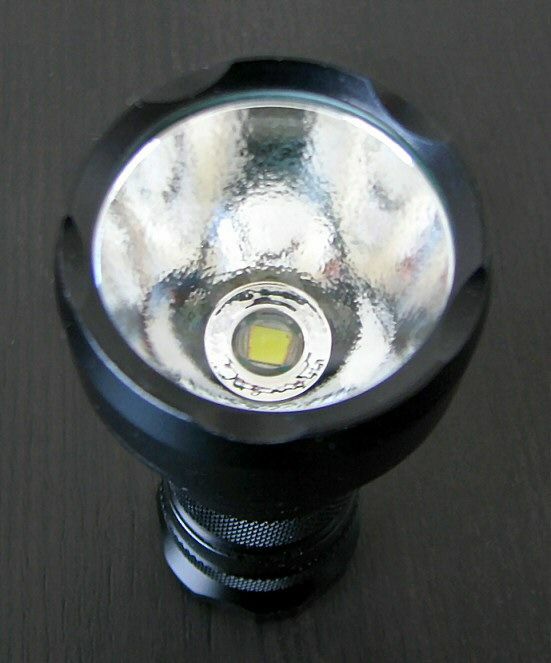 Basically, the light works as a simple 3-stage light with mode memory – but also features the option to lock it as a simple single-stage only light (at your choice of output level). For basic operation, turn the light on/off by a soft-press (momentary) or click and release of the tailcap switch (lock-on). To switch between output modes, soft-press the clicky and the light advances through Lo-Med-Hi in sequence, in an infinite repeating loop. This basic mode includes memory – if you leave the light on for more than 1 sec in any given mode before clicking off, it will come back on in that mode when next activated. To lock the light as single-stage light at whatever level you want, turn the light on and leave it in the output state you want for at least 1 sec. Then turn off the light and repeatedly flash the tailswitch 4 times within 1 second (this may take some practice). The light will stay locked in this one output mode indefinitely – until you do another 4 time flash in under 1 sec again from off (which will restore you to basic functioning). There is no strobe or SOS modes. 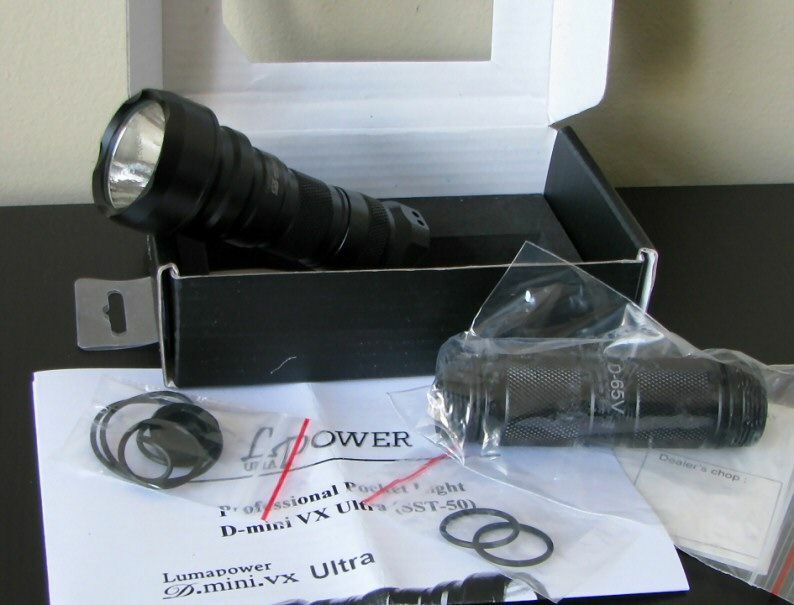 Like other recent multi-level Lumapower lights I've reviewed (e.g. Avenger GX, Mentor, etc), PWM is used generate the Lo/Med output levels – typically in 1.3kHz region. Although still detectable by eye if you know what to look for, this level is high enough so as not to be readily distracting. Testing Method: All my output numbers are relative for my home-made light box setup, a la Quickbeam's flashlightreviews.com method. You can directly compare all my relative output values from different reviews - i.e. an output value of "10" in one graph is the same as "10" in another. All runtimes are done under a cooling fan, except for the extended run Lo/Min modes (i.e. >12 hours) which are done without cooling. Throw values are the square-root of lux measurements taken at 1 meter from the lens, using a light meter. The SST-50 is clearly driven to a fairly high level in the new D-mini VX Ultra - on single 3.7V battery sources (i.e. 1xRCR, 1x18650) the Ultra is the brightest light in my collection at the moment. Because the Ultra is so bright, throw measures at 1 m show a pretty high output level on RCR. But that doesn't mean the Ultra is a dedicated thrower - compared to most 1x18650 lights with this size head, it’s throw is in fact below average. With its very bright spill, it’s basically a traditional general purpose beam pattern. Note that the Ultra’s low-level is still fairly bright by 1xRCR standards, but reasonable for a 1x18650 light. On primary CR123A batteries, it is a completely different matter. The light is clearly not maximized for use of this battery source - only relatively low output levels are possible, and in a generally non-regulated fashion. Note that the manual recommends primaries only be used for emergency purposes. Note: Effective January 2010, all CR123A runtimes are now performed solely on Titanium Innovations batteries sponsored by BatteryJunction.com. You can compare the generally excellent performance of these CR123A cells relative to the Duracell/Surefire cells used in all my earlier reviews here. Given the obviously highly driven nature of this light, 1xRCR is clearly not appropriate on Max. You are looking at a >4C discharge rate on Max on RCR, which exceeds recommended battery draws. I strongly recommend you do not run this light on Hi on RCR for any length of time. You are better off using an IMR cell, which can better tolerate those kind of current draws. I think it's fair to say that you are best running this light in 1x18650 format, or sticking to Med/Lo on RCR (and potentially Hi on IMR cells). Note: for the runtimes below, the D-mini VX Ultra is in red, not gold as earlier. Sorry. Runtimes are about what I would've expected for the output levels, on all batteries. No real surprises here. IMO, the light is driven too hard on Max to be safely used with regular RCR (i.e. >4C discharge rate ). Med/Lo on RCR is fine, as are all modes on 1x18650. If you want to use Max on RCR-size cells, use IMR cells that are rated to handle higher discharge rates. The light gets pretty warm when on Hi for any length of time. I am a bit concerned about the long-term longevity of the emitter at the max output drive level (again, especially in 1xRCR/IMR format). Primary CR123A batteries are not really an option, in less you don't mind being limited to a non-regulated, relatively Low output level. I am impressed with the new build of the D-mini VX. Physically, it is a significant upgrade to the original D-mini in every way. A very thoughtful design, I particularly like the inclusion of the D65 extension tube for 1x18650 support. I also like the new Lumapower "Smart UI", as it gives you the option of a multi-level light (in my preferred sequence from Lo to Hi) with mode memory and no strobe/SOS, or the ability to convert it to a single stage-only light (for all you fans). I haven't tested the base VX model, but I'm sure original D-mini holders would find it a significant upgrade. This Ultra model (with the Luminus SST-50 emitter) is clearly designed for another purpose - the focus here is not really on throw, but rather providing high output with a more typical general purpose beam pattern. And this is where the problem comes in – the Ultra is driven to such a level that primary CR123As are not feasible (i.e. can’t provide enough power to run the light above a low level), and regular RCRs don't carry enough storage capacity to be safely run on Max output (i.e. Hi mode discharge rates are too high). I can just imagine the initial reaction people will have when I show it to them on Hi on 1xRCR … and the second reaction they will have when I tell them the runtime. You are basically left with 1x18650 if you want to get maximum use out of light, or potentially IMR cells in the 16340 size. I really see this light mainly as a 1x18650 light, with the option to run at lower levels on 1xRCR/IMR (but not 1xCR123A) if needed. This partially defeats the purpose of a small form-factor "pocket rocket", although I would note the light is still quite small in 1x18650 format, relatively speaking. 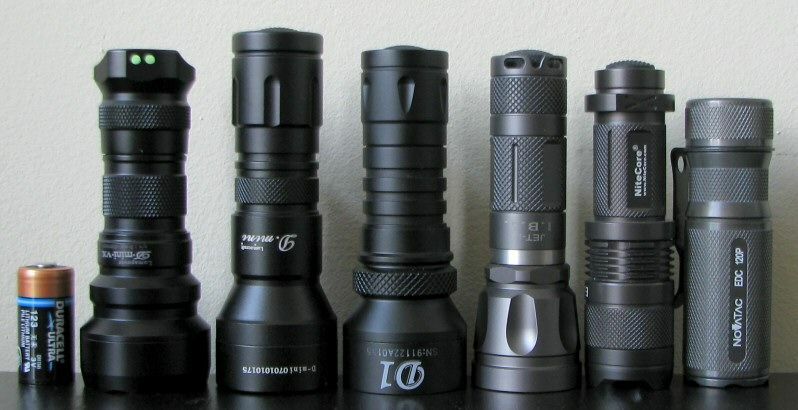 IMO, they would have been better off limiting the light to a lower Max output (i.e. 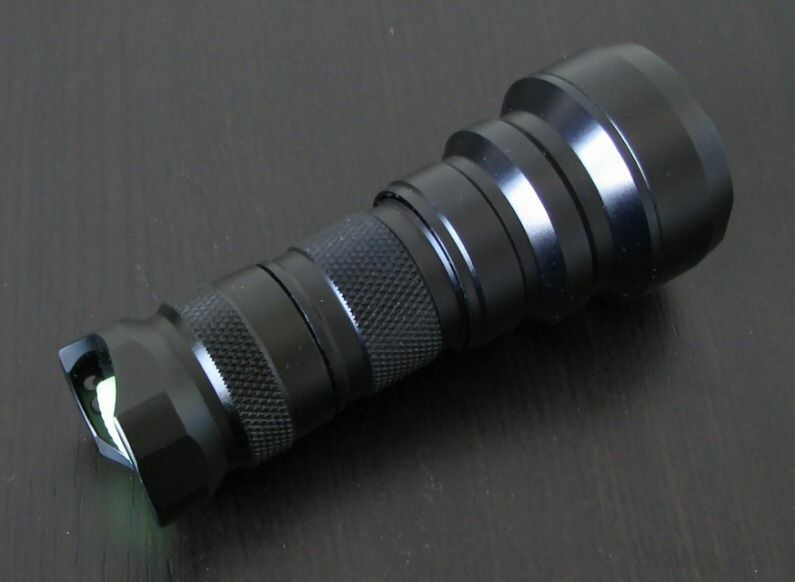 something closer to the Olight M21 reviewed recently). This would make it easier on 1xRCR, not to mention reducing the heat load on the whole light. I would also like to see a regulated Med and Lo mode on primary CR123A, but I gather that may be difficult to accommodate with the circuitry. The new D-mini VX is an attractive and well-built little light, a worthy successor to the original D-mini line. They just need to tone down the wattage a little in Ultra form. Re: Lumapower D-mini VX Ultra (SST-50) Review: RUNTIMES, BEAMSHOTS, and more! Great review for a great light!!! I will use a 16340 IMR, safe up to 8C, if I want it short and bright as well. 13 minutes runtime is about what I expected. For the rest, an AW 18650-2600 will do fine. For a flashaholic, it was the right decision to let the SST-50 unleash its power. The M21 and M20 Titanium have been developped to be used by anybody safely and lack 200 Lumen, the D-mini VX Ulra has not been, it reminds me of some custom lights..
Just to be clear - it's really danger to the RCR itself we are talking about here, not danger in running the light. Repeatedly discharging a cell faster than it's max rated discharge rate will shorten the lifespan of the cell, and increase the risk of failure during a recharge cycle (which is where you incur most of the risk with Li-ions). One should always treat one's Li-ion batteries with appropriate respect. I will use a 16340 IMR, safe up to 8C, if I want it short and bright as well. 13 minutes runtime is about what I expected. For the rest, an AW 18650-2600 will do fine. ... For a flashaholic, it was the right decision to let the SST-50 unleash its power. The M21 and M20 Titanium have been developped to be used by anybody safely and lack 200 Lumen, the D-mini VX Ulra has not been, it reminds me of some custom lights.. Yes, I agree - IMR cells are a much better idea here in the small form factor (which is why I included the run). But since there is no functioning protection circuit, everyone needs to make sure they don't over-discharge their cells. Still, it's quite impressive in this size - it's definitely the most output I've seen out of such a small light! But I still think manufacturers are better off "unleashing" the SST-50's power in a larger form-factor light with a bigger heatsink (e.g. like ThruNite has done with the catapult). Olight's decision on the M21 strikes me as sensible in terms of a business decision (i.e. lower likelihood of returns due to heat-death of the emitter), even if it means lower sales among the max output crowd. With this small a form factor (in the Ultra), I am more concerned about heat and concomitant long-term stability. Time will tell, I guess. I know that there is real danger here, as I have informed myself (mostly here on CPF) before buying and using any li-ion. If I had not been on CPF, I would have known about li-ions that they are in my cell phone and in my laptop and that there is no danger at all with them. I would have ordered cells and charger and as I also knew from Ni-Cd that you shouldn't recharge until they are depleted to avoid memory effect, I would have used them until the protection kicked in and I surely wouldn't have had any idea that you can actually draw to much from them. People who are used to "normal batteries" just put them in their device and use them. You can say that Lumapower acts irresponsible here, adding a hidden grenade mode to this light! The light was supposed to be a limited edition, but there is a big rush on this light. I said it reminds me of some Customs, because there actually are that are "shock and awe". The difference is, that customers are all on CPF and the maker of the lights give the warning in big red letters "requires IMR cells for high and high is for intermittent use only". No wonder that people make a rush on the Mini VX Ultra as it is something you normally don't get on stock lights (as I call them). My personal conclusion is that I'm highly excited receiving and using this extraordinary pocket-rocket, but in no way I would recommend (or give) it to a non-flashaholic! Great review as always, selfbuilt. A small correction - you have listed the length of the non-extended D-mini as being longer than the D-65. But that should be apparent to everyone! One thing I noticed when testing the tailcap draw on 16340 is that a lot of the heat seems to come straight from the overloaded battery. When running on 18650, my light was just starting to warm up above hand temperature after about 5 minutes of use. Of course, I wasn't doing continuous runtime tests, but it seemed like 15-30 minutes of continuous in-hand use shouldn't be a big deal. Also, I don't think you mentioned it in the review, but heat generation in both Low and Medium is basically non-existent, at least from what I've seen (even in an unattended tail-stand). I am a bit surprised they would release a light that says RCR compatible but only give you 11 minutes runtime on high why even bother IMHO, but more importantly they would release a light that bypasses safe Li-on use if I would not have read your review I would have ran a 18650 until it cut off. Is it possible you received a faulty light? I think I will hold off until this gets resolved if it ever does or go with the M21. Great review. I've been looking forward to this one since I received this light at Christmas. Nice to know how it really stacks up. I've used the light daily since, running an IMR 16340 and whenever I've checked the battery voltage, after the light appears only to offer medium level, I get 2.87-2.89, and no heat buildup (and 0% on the ZTS). It may not be practical or non-flashaholic friendly, but it's still a blast to light up. 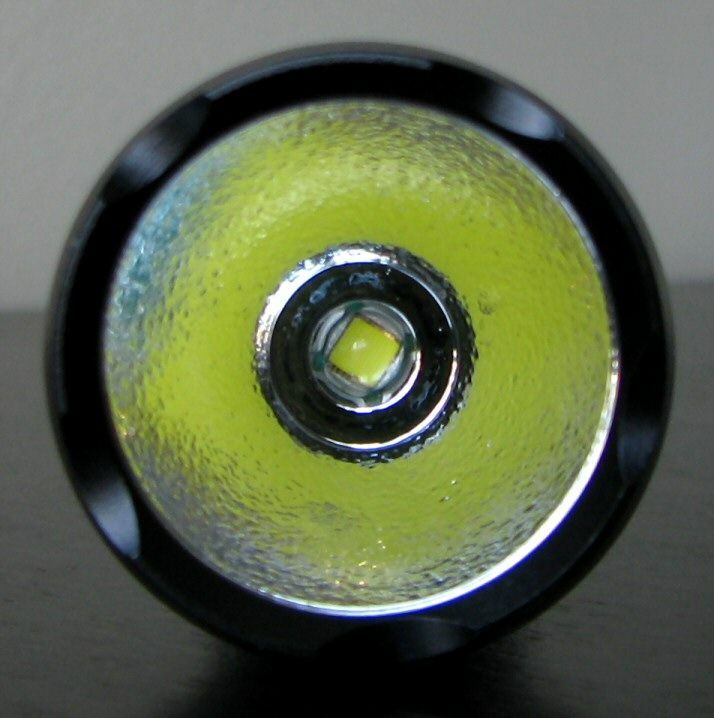 I just ordered a D-Mini VX Ultra to use as my 18650 light. The VX Ultra is already a decent size light whether using a short or long tube, so I just figured the best way to leave it setup is with the 18650 tube, and to get another smaller light for using 16340 cells. I chose the Incendio V3 for using the single RCR batts. Selfbuilt, as usual, a very indepth review! I've got one of these in the mail and can't wait to check it out. the protected circuit bypass issue (and rechargeable batteries on the whole) are new to me so it seems I'll have to be a bit more cautious when using this light. 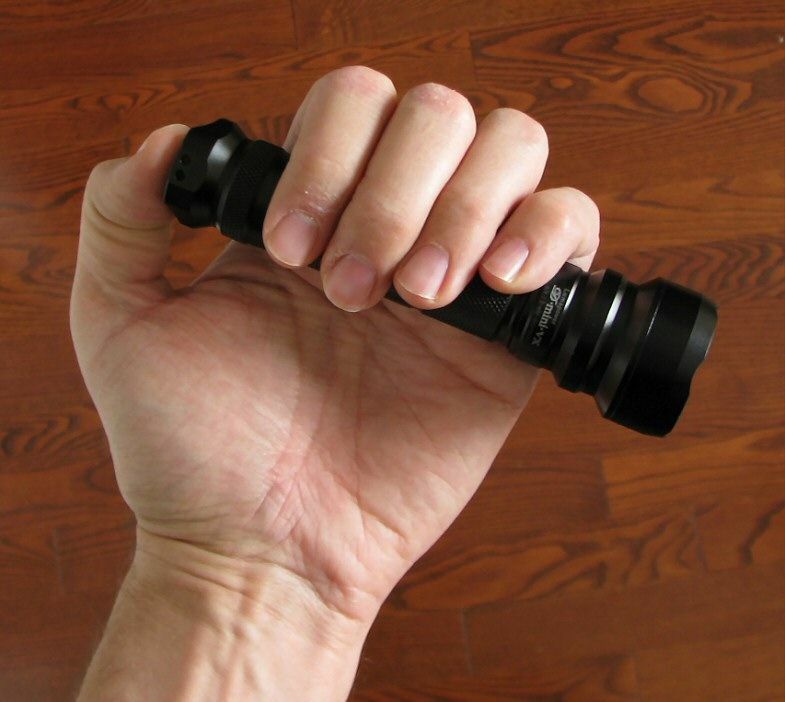 Looks like I might also have to buy an Olight M30 Triton after all! A Cree is normally driven at around 1.000 mAh on high, which already triples the runtime to about 30 minutes on high and you would use an RCR123 with 750mAh and you'll get 45 minutes. Enormous output require enormous input, even if you don't see the SST-50 three times brighter than a light with a "normal" size LED like a Cree XR-E.
To get everything out of the SST50, it requires 3 x18650 cells while the lights available today normally use 2 x 18650 with a possibility to use them with lower output on 1 x 18650. The Mini VX Ulra runs slightly over 1 hour with an 18650, which is also OK by math for 2.600 mAh. You can't apply math however to find out the runtime, as there are other variables to consider (voltage the LED requires to run, regulation...) and by doing it you assume the light runs at 100% until it shuts off, which normally isn't true, at some point, the regulation ends and it runs direct drive dropping slowly to 50%, which makes he runtime longer. The conclusion is the same as we already had : The Mini VX Ultra SST50 is an 18650 light with a possibilty to work as a pocket rocket on an IMR16340! It over-steps the safety margin for small-cell lights, and should really only be used safely on the maximum setting with its 18650-size extender. A small correction - you have listed the length of the non-extended D-mini as being longer than the D-65. But that should be apparent to everyone! Good point ... a lot of the heat could indeed be coming from the battery on Hi in 1xRCR form. And yes, like you I didn't notice any significant heat on Med/Lo. Note that all my runtimes are done under a cooling fan, so my heat impressions are just that - subjective impressions made during handling. but more importantly they would release a light that bypasses safe Li-on use if I would not have read your review I would have ran a 18650 until it cut off. Is it possible you received a faulty light? EDIT: my error here, I seemed to have confused lights in my recent testing. The VX Ultra is not going below the built-in cut-off level on regular usage. Thanks David. As has been pointed out here, I think the light is fine in the hands of enthusiasts who understand that they are getting (i.e. more of a custom light in a mass-produced form). Last edited by selfbuilt; 01-10-2010 at 09:41 PM. Note also that the Ultra appears to get around the built-in protection circuits on my AW protected RCRs and 18650s, at all levels (i.e. what you see above is when I choose to stop the runs). In each case, the batteries were well below 2.8V when I pulled them from the light. This means you must manually stop the light once you notice any significant dimming. Otherwise, you risk draining your batteries to below safe levels. I am a bit puzzled about this? What voltage do you expect the protection in the battery to kick in? And when you say you batteries was well below 2.8 volt, how low was that? My Ultra does not draw any power or shows any light below 2.7 volt (This might be related to Vf of the led). And I agree about using IMR 16340 cells, with a current draw of 2A they are perfect for the light (If you can live with the short runtime). For those who don't know (like me), HOW is the battery's protection circuit inactive? If I didn't know better, I would think that implied that the light was making contact with the battery terminals outside of the places that are physically possible on a protected battery (ie, underneath the protection circuit). Thanks. Tangent: I'm intrigued by the Ray D1. Are you going to review that light too? I wonder if they will release an 18650 version? Sorry guys - I screwed up on this one. The Ultra does not drain AW protected cells below the cut-off voltage in reglar usage. I have been doing a lot of runs lately on a lot of lights, and thought I had detected <2.4V on my AW protected 18650 on the VX run. I am clearly mistaken - I've checked again, and I don't get below 2.6V on the VX Ultra, even at ~10% max output. My apologies to everyone for the mistake - most especially Lumapower ! Now I have to figure out what light I found that on ... sigh. Unless I'm confusing an unprotected run, I'm pretty sure I saw that in my recent AW protected testing - but it may have been much latter on a run that was left unattended. I definitely remember having played with this in the past (i.e. had a light that would consistently go below the cut-off voltage). Now I just have to figure out which one. In the meantime, I will fix the review. The issue with the rapid discharge and heat on Hi on 1xRCR stands, but the cut-off issue is my boo-boo. I will try to track down where I saw this ... stay tuned. Last edited by selfbuilt; 01-10-2010 at 09:45 PM. Yup, it's coming. Should hopefully have the review up within a day or two. Last edited by selfbuilt; 01-10-2010 at 09:50 PM. this will be my second D mini, the first i converted to an xpg R5, used it in a swamp last night, bloody awesome light, hope the sst-50 will behave just as well! Perhaps I should have included a note with the light before I shipped it. I fell that I should explain explain that the D-Mini VX Ultra was a result of a conversation that Ricky at LP and I had about making a 'little monster light for CPF' and it was originally intended to be a very limited release light (100pcs) for use by the enthusiast community here so it was intentionally driven hard, 'overclocked' if you will. Hey Matt, that's good to know! I had no idea this was the intention of the D-Mini VX. I was just looking for a monster pocket rocket along the lines of the M30 Triton and this one just seemed a bit better because I only needed one battery, the rechargable 18650, instead of 3 CR123s. Thanks for the info, I'm patiently awaiting the D-Mini ultra you guys shipped me on Friday! I was hoping to add an IncenDio V3 to my order but it's still on backorder on your site. Any idea when you expect more of the R2 versions? Thanks for the clarification Matt. I've added a note to the review at the top and the bottom, linking to your post above. I think that perspective should help "calibrate" everyone's expectations for the light. As long as everyone understands what they are getting, there shouldn't be any problems. And good call to insist on the D65 extender tube! As for the light, it looks much like a fad product to me. care to explain what in ur opinion makes this a fad product as opposed to one in ur collection that u feel isnt a fad product? Selfbuilt, thx for another totally awesome review. Of course you do realize that you are the biggest enabler of all right? Last edited by turboBB; 01-12-2010 at 01:40 PM. Sigh ... not my intent, but an unintended consequence of doing so many review. I prefer to look at it as I'm providing independent data to allow members to decide if the pros outweigh the cons for any given light they are interested in. Of course, there is a selection bias going on - given the limits of my time, I only choose to review lights I think will be of interest to members here. Hmmm, don't know if LiFePO4 would be any better here than regular Li-ion ... but IMR is certainly rated to be able to handle these sorts of current draws. Don't have any LiFe ones to test, I'm afraid. I've read that they have been purportedly used by RC hobbiest at 10C discharge so I'd imagine it should be able to handle it. Also, I'd imagine running at lower v might help a little with the heat but just conjecture. I have some incoming and will take some heat / run time tests when they're in. I get this feeling that Lumapower just hastily rushed out this light to take advantage of the excitement about the new SST's. Apparently the only real edge it has over previous generation rivals is when its ran on 1x18650 format on max and 1x16340 on max (but it doesn't regulate and its not safe), however you use it in any other battery sources and/or output level and its back to the old standards if not inferior. To me, its enough to justify labelling it as a 'fad product', sorry to offend if others if we do not concur, but thats just me. But seriously, i think its quite obvious, you get what i mean, please don't do this to me next time. 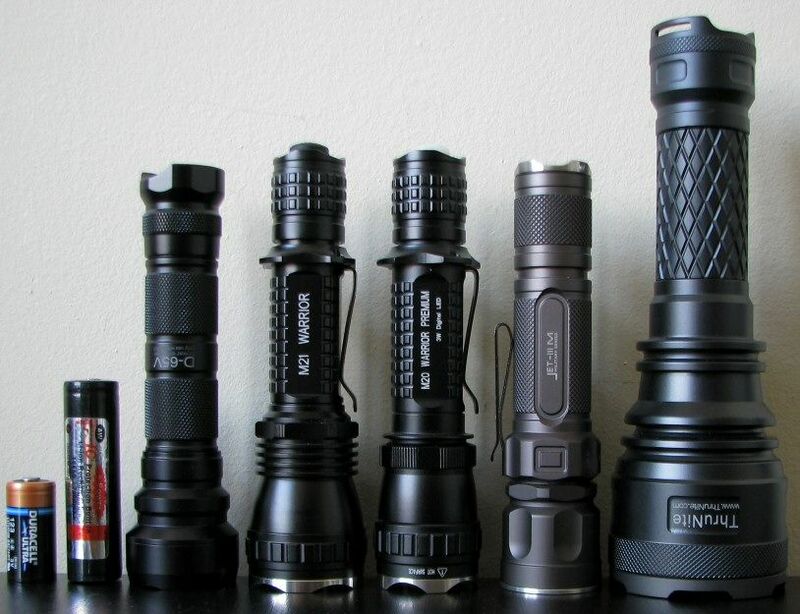 How lights from my collection ain't fads? By chronological order in terms of release date, (i think) none of my newer light would be inferior to the older lights in terms of runtime output/efficiency, all other factors held constant. Last edited by berry580; 01-12-2010 at 09:51 PM. anyone tested draw at the tail on high with a 18650 IMR?